it’s been over ten years since Jurassic Park 3 hit theaters and with rumblings of them finally getting around to doing Jurassic Park 4, something hinted at by original director and producer Steven Spielberg at this year’s Comic-Con, fans of the successful franchise and dinosaur enthusiasts have been itching for any good news that it really was going to happen this time. At today’s junket for The Adventures of Tintin, ComingSoon.net sat down with Spielberg for four glorious minutes of questions about his adaptation of Hergé’s globe-trotting adventurer and we tried to quickly get in a question about their progress on Jurassic Park 4. Unfortunately, when we attempted to find out if it will continue on from the last movie or reboot and start from scratch, he couldn’t tell us. “It’s just another boring secret,” he chuckled. So yeah, sorry to say that we don’t have much to add, although if Spielberg has it on his radar, that’s certainly a good sign that maybe we’ll see it sometime in the next few years? Fingers crossed! 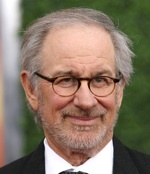 Look for our full interview with Spielberg talking about The Adventures of Tintin as well as his other new movie War Horse in the coming week.